This is a true Magnum Opus, an utterly unique approach to Philosophy as a combined study and practice of 28 separate but interlocked Categories. While each volume is a jewel in its own right, together they create a genuine treasure-house of wisdom, experience, and inspiration. Their sheer presence in your library will draw your attention and they will generate an atmosphere around themselves, for they are the ‘body’ of PB’s spiritual journey far more than any physical image or biography ever could be. While PB himself would not care to have these volumes characterized as scripture, they are without a doubt “shruti”—the direct ideational flow of a sage, and worthy of our highest reverence and our most concentrated study. 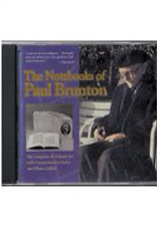 The entire 16-volume series of The Notebooks of Paul Brunton including the introductions, indexes and dynamic TOCs. 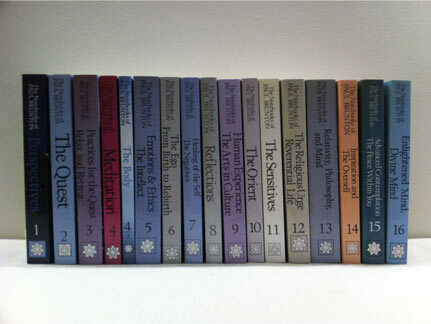 PB intended for the 28 categories to be studied together, in sequence, and in tandem with each other. This CD-ROM allows the reader to explore his 28 categories in any sequence and to learn how PB considers the same issues from a variety of standpoints. Thus one can consider the law of Karma from a moral standpoint in Volume 5, in the context of destiny and free will in Volume 6, see its effect on one’s health in Volume 7, and its effect on culture and the human condition in Volume 9, learn to recognize its swift action upon the subtle plane in Volume 11, and seek its annulment through Grace in Volume 15. This is but one of many sub-themes that run across many volumes and categories—and what better way to find and follow these than with this CD?